WASHINGTON (Reuters) - Detroit on Wednesday struck a deal with a core group of creditors that dramatically cuts the losses they would suffer in the city's landmark bankruptcy case, a breakthrough that could pave the way for settlements with other holdout creditors. Additionally, Detroit might no longer try to classify nearly $400 million of voter-approved general obligation bonds as unsecured, a threat that had been a chilling prospect for municipal bond investors who have long viewed so-called GO debt as that market's safest investments. Their final status is still under discussion, but the settlement assures they will receive a superior payout than other unsecured creditors. The deal also aims to provide a safety net for city retirees at risk of falling below the poverty line. Terms of the settlement, announced by U.S. Bankruptcy Court mediators in a case brought by the bonds' insurers, mean that bondholders will receive $287.5 million of $388 million they are owed from a dedicated stream of tax revenue backing the debt, known as unlimited tax general obligation bonds. That is about 74 cents on the dollar compared with a recovery rate of 15 cents on the dollar for other unsecured debt holders under the city's latest adjustment plan proposal. The remaining $100 million in tax revenue would be divided between about $27 million in back payments on bonds and establishing an income stabilization fund to ensure city retirees, who are likely to see their benefits reduced in the bankruptcy, stay out of poverty. The deal, struck with three bond insurers that had sued the city last fall - National Public Finance Guarantee Corp, a unit of MBIA Inc; Assured Guaranty Municipal Corp and Ambac Assurance Corp - could entice other creditors toward settlements of their objections, analysts said. "It should increase other unsecured creditors interest in negotiating," said Matt Fabian, managing director of Municipal Market Advisors, an independent research firm. Assured Guaranty wants the bonds to be considered secured debt with a valid lien on property taxes. The three insurers claimed the city was illegally diverting voter-approved property taxes meant to pay off the bonds to the general fund. 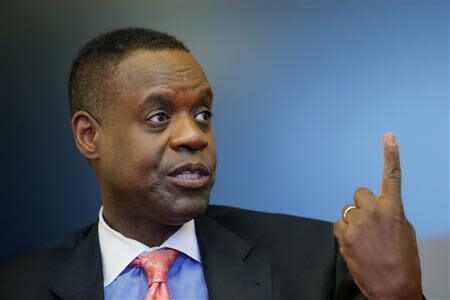 The "dedicated revenue stream will continue to go to them," Detroit Emergency Manager Kevyn Orr said in an interview following the deal announcement. "The exact details about whether they are secured will be in further documents." Shares of all three insurers rose about 4 percent following the deal. U.S. Bankruptcy Judge Steven Rhodes must still approve any restructuring plan. Wednesday's deal is the second agreement that Orr has struck with creditors in Detroit's bankruptcy, as he scrambles to resolve the largest municipal insolvency case in U.S. history by this fall when his term expires. The city filed for bankruptcy last July, crippled by decades of economic decline and an $18 billion debt load. Detroit last month settled with UBS AG and Merrill Lynch Capital Services, a unit of Bank of America Corp, over costly interest-rate swaps. Rhodes, who rejected previous swaps deals, is scheduled to rule on the latest deal on Friday. Orr urged other creditors to negotiate, including unions fighting on behalf of the city's two pension plans. Orr's plan would cut pensions by between 6 percent and 34 percent. The funds said in a statement they had not yet determined whether Wednesday's settlement is "advantageous to the city and to the retirement systems." As more creditors settle with the city in exchange for supporting Orr's plan, he gains leverage in negotiations with the remaining holdouts. Still, he is reluctant to simply impose steep losses on any creditor, known in bankruptcy circles as a "cram down," even though bankruptcy law permits it. "We recognize as we get additional settlements in, that (there may be the) necessity of a cram down," Orr said. "We don't want to cram down." A cram down also risks protracted litigation that could threaten other sources of financing for the city's plan, in particular the $816 million "Grand Bargain" with the State of Michigan, private donors and foundations to bolster city pensions while protecting the city's renowned collection at the Detroit Institute of Arts from a possible firesale. "No one wants to buy litigation," Orr said. Meanwhile, another bond insurer in the bankruptcy, FGIC Corp, said it had received alternative proposals for city art. FGIC, which insurers $1.1 billion of city pension debt, said it had received proposals from "credible third parties" for acquiring or monetizing the collection that would generate $1 billion to $2 billion for the bankrupt city, considerably more than under the Grand Bargain. Orr was not warm to the alternatives. "We have no intention of selling art," Orr said. "In a Chapter 9 you cannot compel the city to sell anything, not a park, not a zoo, not the DIA."